If you’re not already using Pinterest as a part of your social media marketing plan, you might be missing out on a lot of potential customers. 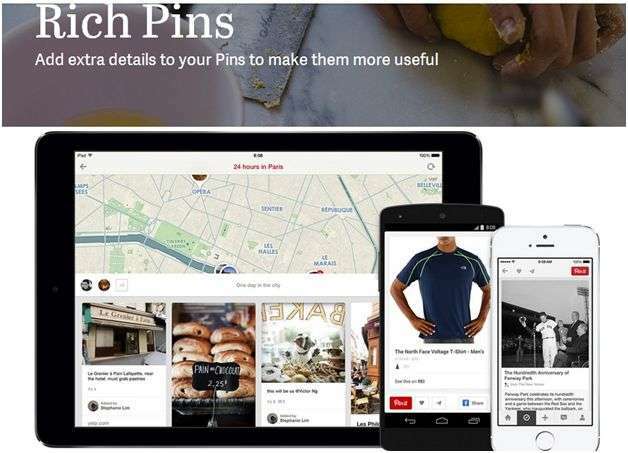 With more than 70 million registered users, Pinterest just cannot be ignored, especially when it comes to small business marketing. More than 80% of Pinterest users are women – a staggering statistic. Naturally, businesses selling apparel, clothing, household accessories and children items have found the most success on Pinterest. However, having recently worked with a more conventional B2B marketing and trading portal: Quality Trade, I was surprised to see that many companies selling electronic items, healthcare products and different business services are also using Pinterest very effectively. A closer look revealed certain common strategies among the companies using Pinterest successfully. Based on that study, here are some of the best practices to use Pinterest for small business marketing, more efficiently. If you’re one of the early Pinterest users, you might still be using a personal profile page for your business. Last year, Pinterest introduced Pinterest Business Pages that are slightly different in their outlook and features from the standard Pinterest profiles. A business profile gives you credibility on Pinterest. Additionally, you can access detailed page analytics to get insights on your followers, their interests and backgrounds for better decision making. One of the primary KPIs for any social media campaign is the number of followers on your page. Without a sizable following, you won’t be able to get much out of Pinterest either. A smart way to attract followers is to use the strength of your competitors who’re already on Pinterest. List down some of your main competitors and analyze their Pinterest pages closely. Do you see any comments on their Pins? Are there any unanswered queries? Any unacknowledged feedback or any suggestions that went unheard? Take this opportunity to engage your competitors’ followers. Respond to their comments, offer help and build relationships. This will not only increase your brand exposure but also attract new followers to your page. Most experts consider user engagement as the most important social media metric. On Pinterest, there are a number of factors that trigger engagement. For example, there’s a direct relationship between Pins with clear calls to action, and user engagement. The engagement level is almost 80% on Pins with calls to action. Similarly, Pins with a clear price tag see 36% rise in the number of Likes. The number of colors in your images also impact the engagement levels. There’s almost 300% more engagement on Pins with more than three dominant colors. Pins with brand images WITHOUT faces attract 23% more engagement. Keeping all these stats in mind will help you create much more engaging content on your Pinterest profile. A great way to get more out of Pinterest is by activating Rich Pins. Pinterest is already an ecommerce friendly social network. But with Rich Pins, you can display additional information with your Pins. For example, if you have Rich Pins activated and you pin a product from your ecommerce website, Rich Pins will display the product price and stock details with the Pin. One of the best ways to expand your reach on Pinterest, or ay social network for that matter, is by connecting with influential users in your niche. To do that, shortlist your target influencers, follow them, Re-Pin their Pins, mark them as favorite and comment on them regularly. Tag them in your Pins and try to engage them through questions and comments. Even if a few influencers respond to your comments or Re-Pin your images in return, you’ll get an immediate traffic hike on your profile. Pinterest marketing is not just about sharing and pinning images of your own products. Curating quality content, relevant to the interests of your target market, is equally important. Follow the best profiles in your niche and in niches that complement your product line. Re-Pin the best images for your audience and become a source of high quality Pins in your niche. High quality product images lie at the core of Pinterest content. But you need to mix up different kinds of content to really engage your followers and attract natural Re-Pins. Apart from images, Pinterest allows you to share videos as well. Use this to your advantage. Gather inspirational and business related quotes, change them into attractive images using services like Canva and share them with your followers. 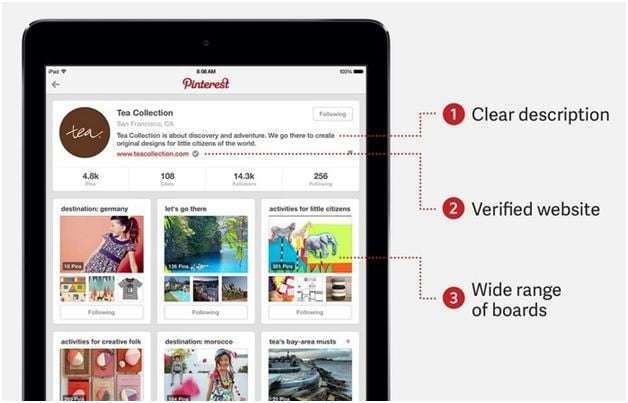 A clean and well-organized Pinterest page not only adds to your credibility as a business, but also helps your followers explore your Pins much more conveniently. For better organization, create dedicated boards for different product lines and niches. Similarly, create dedicated boards for curated Pins and different content types. 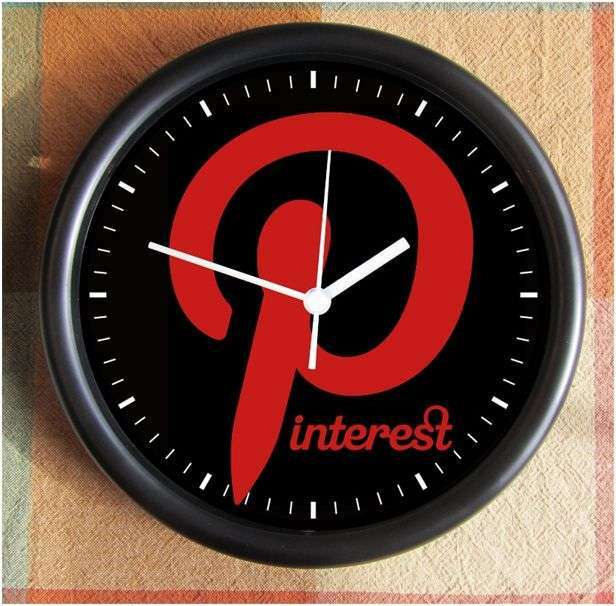 Getting the timing of your content right on Pinterest is crucial for success. You can waste high quality content if you publish it at the wrong time. In general, Pins between 2PM and 4PM EST attract the highest engagement. Similarly, Pins between 8PM and 1AM EST get the most Likes. You can’t obviously spend your whole day on Pinterest, so you need to schedule your posts for the highest engagement hours. You can use tools like Viralwoot and ViralTag to schedule Pins in advance. However, the peak engagement hours may vary slightly depending on your niche and target audience. So it’s better to verify the highest engagement hours with a little experimentation. Pinterest for small business marketing should be a key part of your repertoire. But in order to fully benefit from it, you need to brand your business intelligently and become a source of the highest quality Pins in your niche. If your Pins and boards are in line with the interests of your followers and engage them regularly, Pinterest can become an extremely effective source of high quality leads and customers for you.